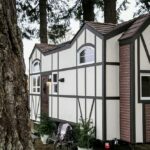 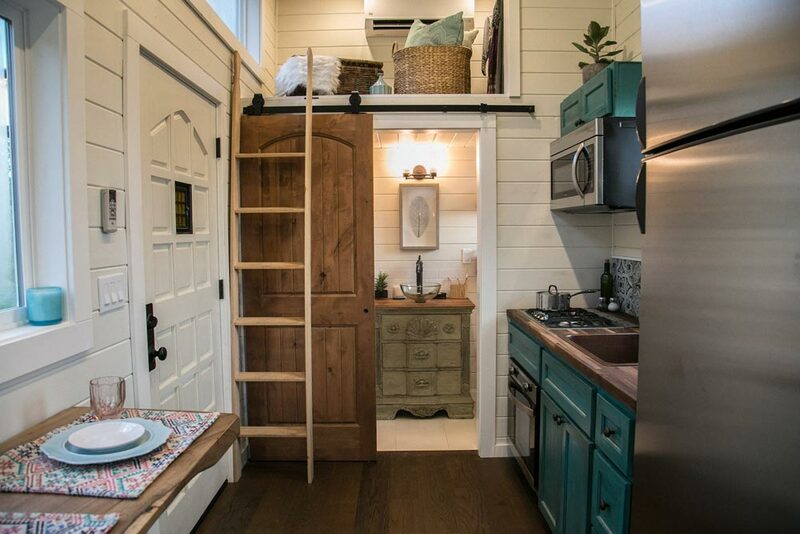 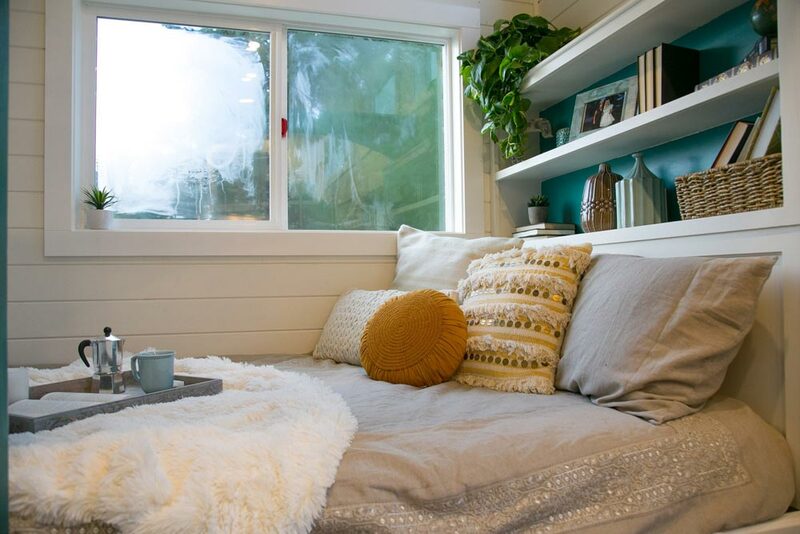 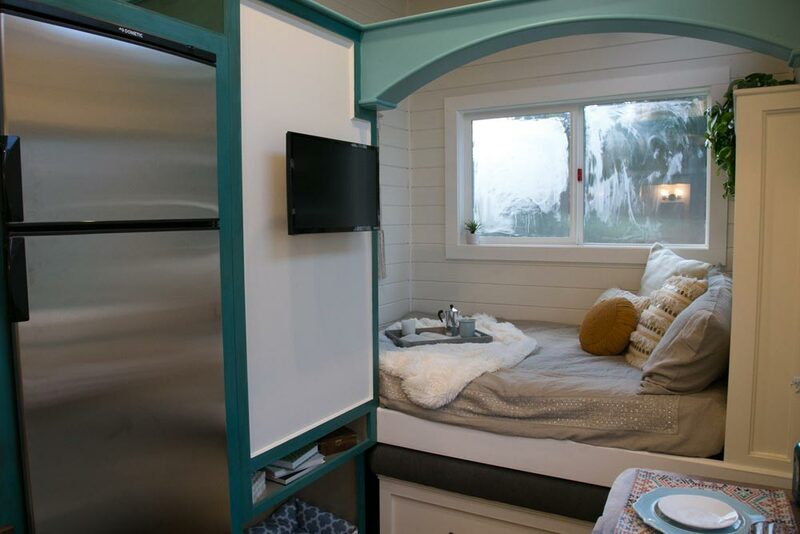 From Oregon-based Tiny Heirloom is the 170-square-foot Archway Tiny Home. 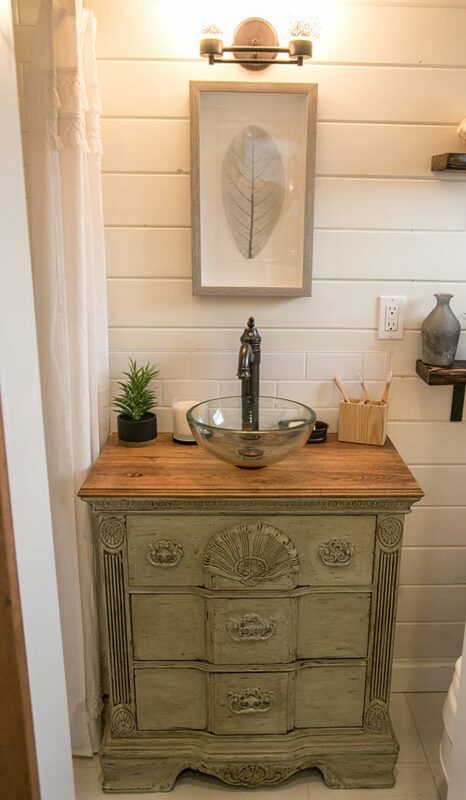 The home was named after the archway that spans across the front of the main floor bedroom. 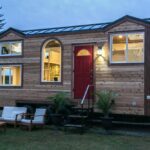 The exterior is a two tone tight-knot cedar lap siding with reclaimed 12-panel front door and seven windows. 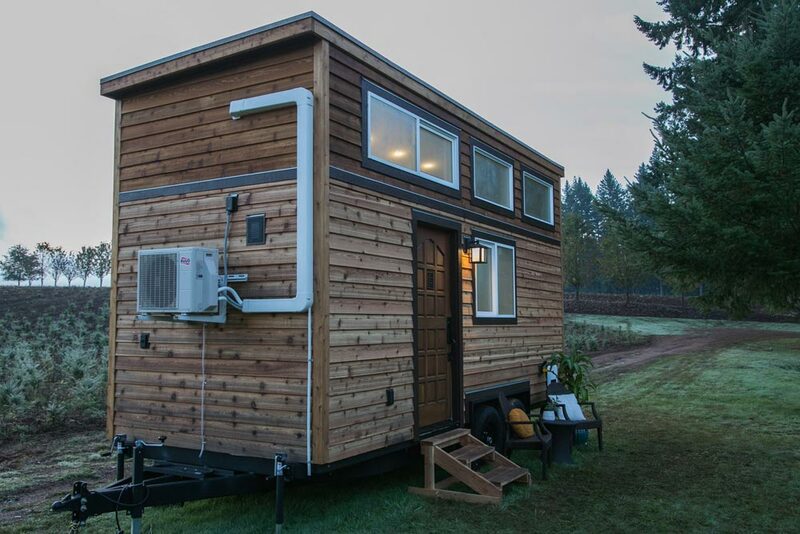 Throughout the interior is tongue-and-groove siding, brushed red oak flooring, and a beetle kill pine ceiling. 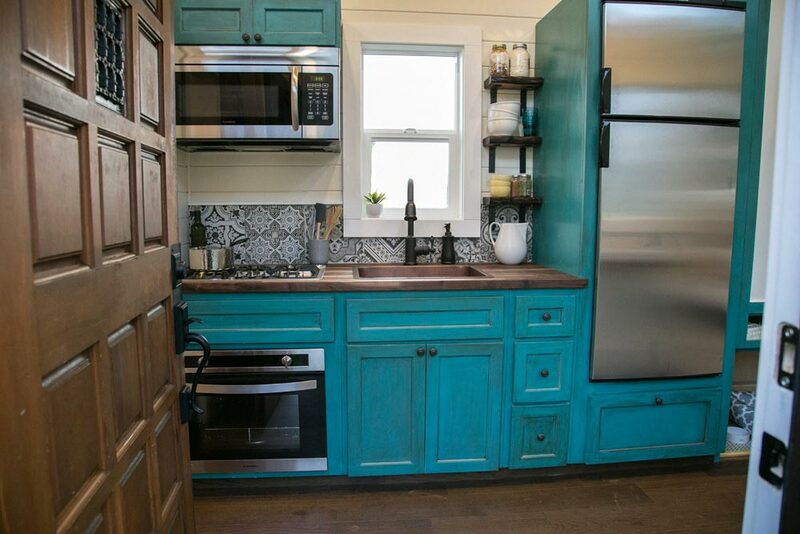 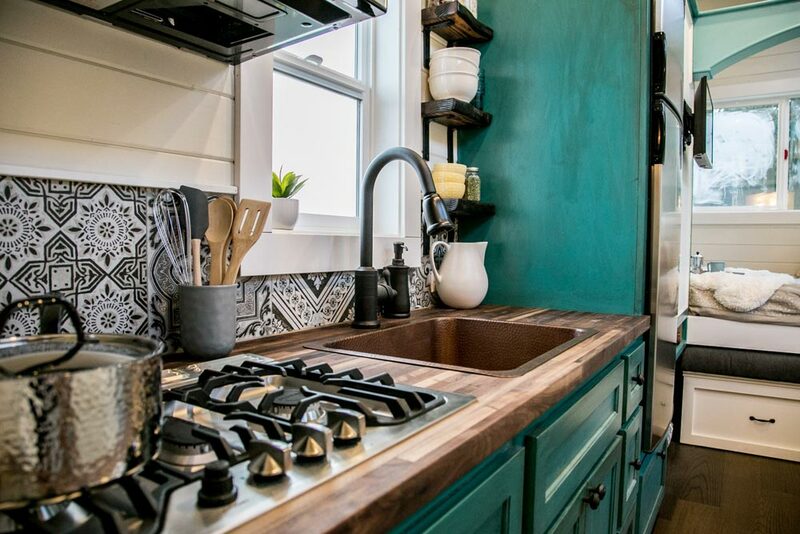 The 50-square-foot kitchen features beautiful blue cabinetry, a six-foot walnut butcher block countertop, Moroccan tile backsplash, and full-size appliances. 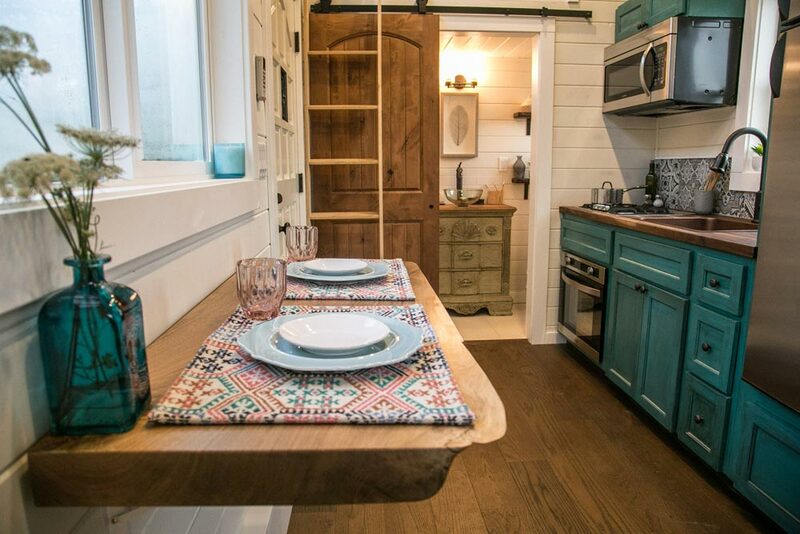 A live edge walnut fold down table sits across from the kitchen. 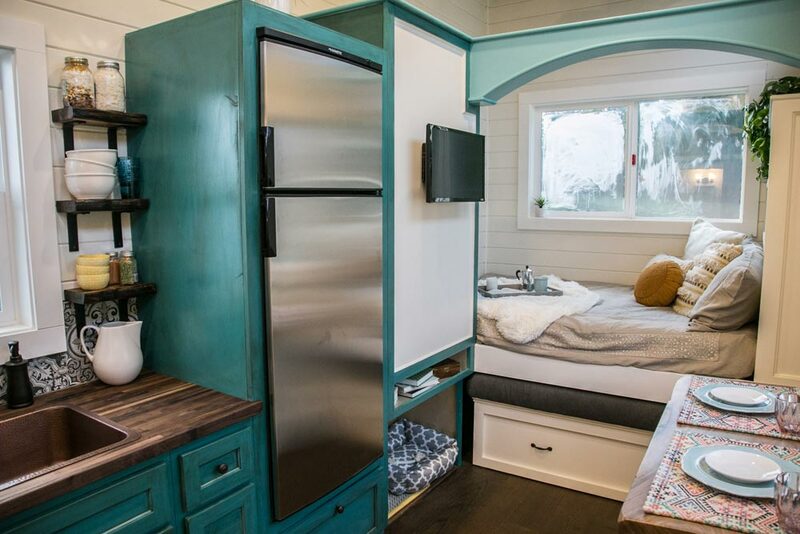 The bedroom area has a queen bed raised platform, headboard with shelf storage, 2’x3′ closet, and pull out bench with storage. 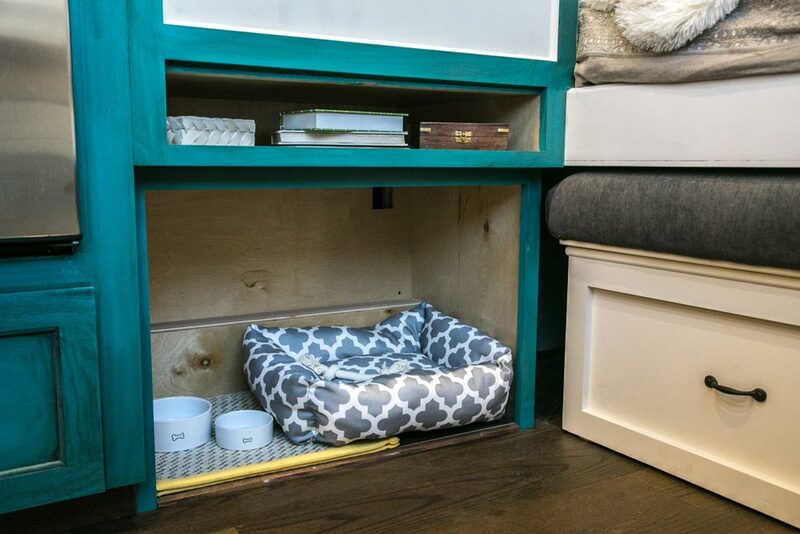 Next to the bed is a puppy apartment with space for bed and bowls. 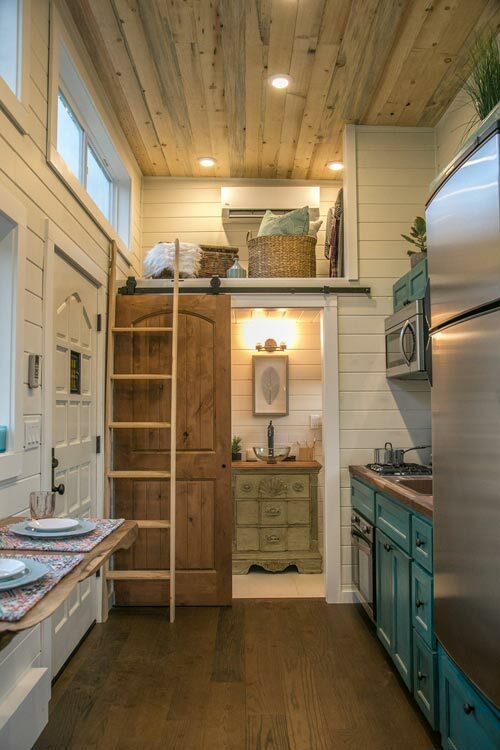 Above the bathroom is a 25-square-foot storage loft with closet space. 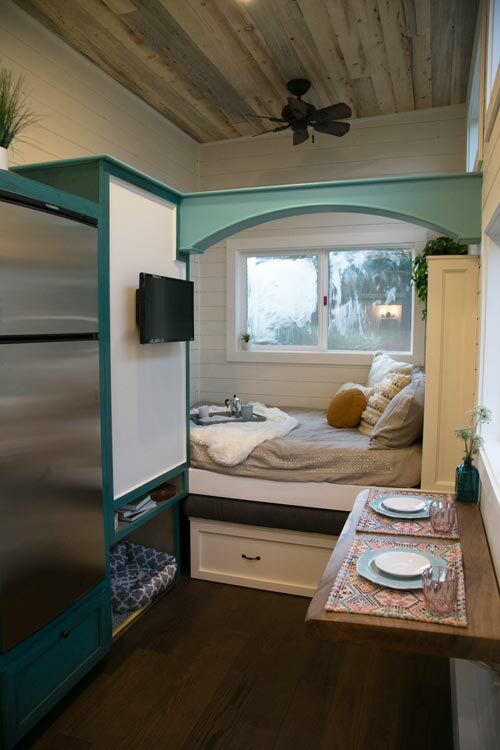 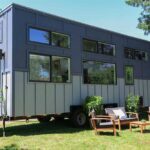 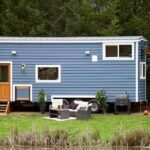 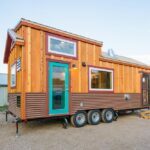 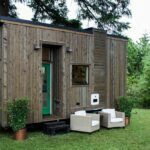 This tiny home was featured in Season 3 of Tiny Luxury. 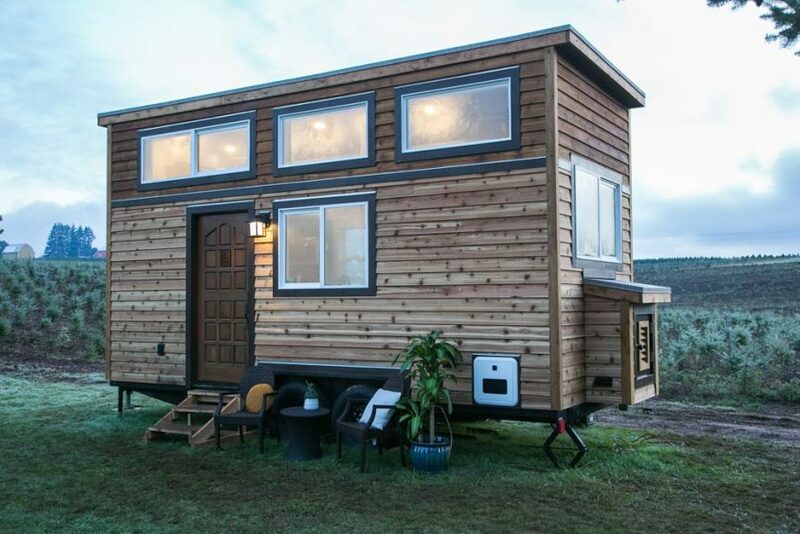 For more information about this tiny house, please contact Tiny Heirloom.